With such a diverse, exciting array of features on the ThriveTracker platform, we have decided to institute a monthly blog to highlight some of our favorites… welcome to our first feature! This month’s focus? Bot filters. Why? Because they give you the freedom to redirect traffic where you want it and identify smarter buying optimizations on native and pop traffic suppliers (where bot traffic most often impacts your results). 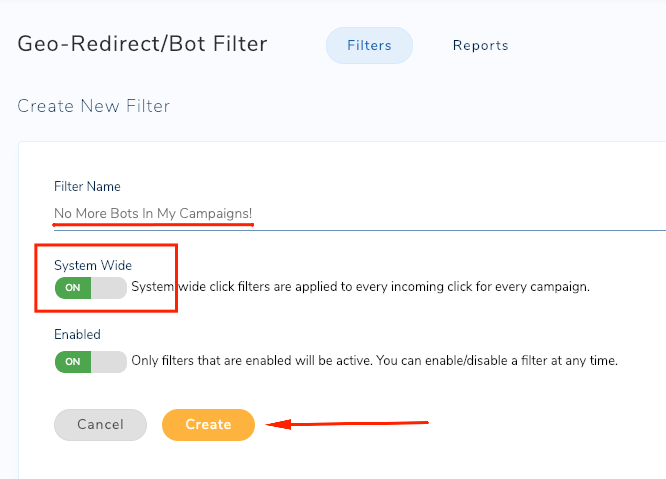 ThriveTracker’s system for filtering bots and other unwanted traffic out of your campaigns was introduced early on in the game. We wanted you to have the autonomy to manage, track, and redirect traffic all at your discretion. 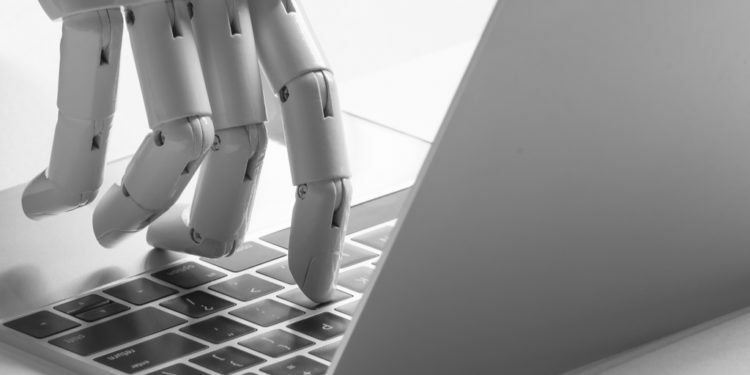 Scenario: Let’s say that bots are sending clicks through your traffic source and working your budget up. The result? Your money is spent on non-human clicks, resulting in lost conversion opportunities, costing you time and money. Solution: Create a filter in ThriveTracker, set up a rule for bots, and clear out any clicks you don’t want. This works for both known bots as well as known bot hosts/ISPs. 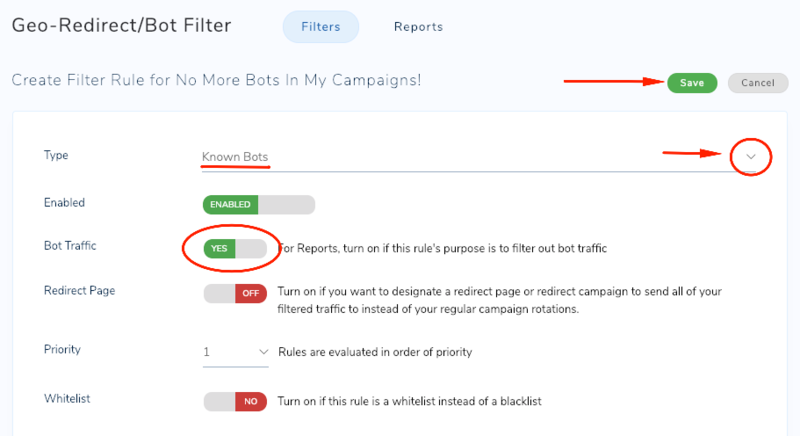 Now you’ve got two different rules in place to ensure those malicious bots are removed from your funnels before they can cause any damage to your campaigns stats and data. The best part about this feature is that you can go beyond just bot filtering. ThriveTracker allows you to specify exactly what any of our available rules pertain to. The rule types for these filters/redirections allow you to customize which clicks go where. If the user qualifies for your campaign, they’ll enter your campaign funnel and continue forward towards becoming a conversion on your offer. If they don’t qualify, based on any one of your filter’s rules in place, they’ll be redirected to a destination URL of your choice. Pro tip: Send errant/misfit clicks to another landing page you have, with the Landing Page Pixel present, and redirect them to a campaign that you can always depend on. This type of filter not only allows you to eliminate bot traffic, but also redirect unwanted or unqualified traffic. As an example, let’s say we want to filter out any UK traffic and redirect it to a designated page. There are many options when creating a new rule. In this scenario, we’re choosing to filter by country. We’ve selected Country as our rule type. The filter is enabled. The redirect page is turned on and we have the choice to now send filtered clicks to either a landing page URL (equipped with our landing page pixel) or to the ID of another ThriveTracker campaign. For all campaigns with this filter assigned to it, any UK traffic will now be sent to the designated Redirect Page. Next, set up your Criteria. This is where you will select what you specifically want to filter out and redirect. In our case, that would be traffic from the United Kingdom. 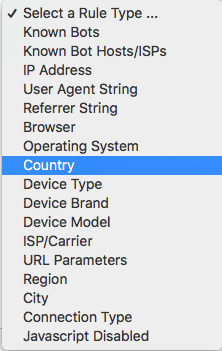 You’ll notice that if you input “UK” in the “Known Values” field, it will bring up the option for Ukraine. Make sure to use “GB” (Great Britain) to ensure the following result comes up. Now just enter “United Kingdom” in the “Rule Criteria” field and you’ve got yourself a rule that is equipped to redirect all UK traffic accordingly. You can also test different values here to see if it would be filtered out. You will see a TRUE message if it was successful. If it shows as FALSE, it is not a match. Anytime you receive a FALSE result, it will provide you with a helpful hint to correct your query entry and achieve that TRUE result you’re looking for. Once you have successfully redirected unwanted traffic, you can analyze it! We have separate reporting for traffic filtered out by any rules you set up here (this can be found under the Geo-Redirect/Bot Filter tab) so you can access this data without contaminating your real traffic data. Why is this data so important? We’re providing you with all the info you need to start making better buying decisions at the traffic source level. From this reporting tab, learn which placements, widgets, and creatives are failing to produce human clicks. The trends you find in these reports will start helping your money find more of the traffic you can profit from. Higher conversion rates are just a few clicks away when you’ve got a feature like this to protect your campaigns. To learn more about redirects and filters, check out our walk-through tutorial!